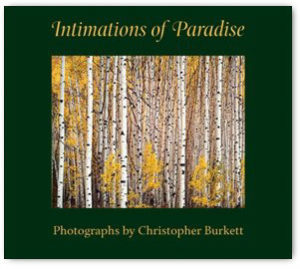 Christopher and Ruth Burkett self published this book to ensure the highest quality reproduction possible.The separations are scanned from original prints, and after two years of work, are “as close as you can get with ink and paper” to the original photographs. Gardner Lithograph is printing the book on Ikono gloss 115# paper from Germany–one of the finest papers made. 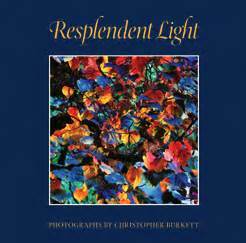 Christopher Burkett crafted Resplendent Light with the same care and precision expressed in his photographs. The book’s 156 pages include 68 plates and an essay by James Enyeart. Christopher and Ruth Burkett self published this book to ensure the highest quality reproduction possible.The separations are scanned from the exhibition prints, and are as close as you can get with ink on paper to the originals. Dual Graphics is printing the book on Ikono gloss 115# paper from Germany which is one of the finest papers made.